Sats med 10 sittande figurer. 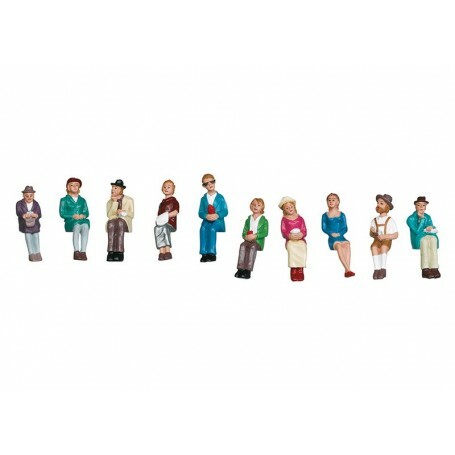 This is a set of 10 seated passenger figures. Four of them are men and 6 are women, all of them in different colors. They can be used for different eras. These figures are not available separately.